When the heat and humidity in central Florida become overwhelming, kids can become overheated and cranky, pets start panting and they let you know they’re overheated, and everyone wants to have the air conditioning repaired as quickly as possible. 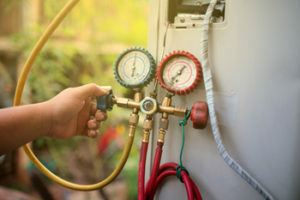 This is when you’ll love knowing that the AC repair Lake Mary has relied on for over 25 years is expertly provided by DC / AC Air Conditioning and Heating. In Lake Mary, top-notch air conditioning is not just nice to have, it’s a necessity. As soon as you call for air conditioning service, a chain of events is set into motion. Our licensed technicians are on their way to your home in fully equipped vehicles ready to do whatever it takes to get your air conditioning in top working order again. Your 100 percent satisfaction is always our goal. We’ll arrive on time, and we treat you, your home and furnishings with the utmost respect. This means truly listening to your concerns, answering all of your questions and letting you know exactly what needs to be done to repair your system. If your system needs replacing, our knowledgeable professional technicians will explain all the benefits and nuances of a cutting edge new air conditioning system. We make sure you know exactly what needs to be done and what the cost will be. Honesty, transparency and integrity are at the heart of our business principles. 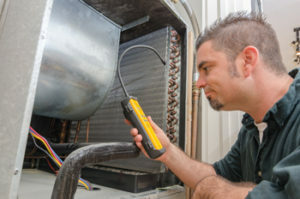 We begin by hiring only the top air conditioning and heating technicians we can find. They are highly qualified, fully licensed and insured. They arrive at your home ready to get to work to repair or replace your air conditioning, exhibiting true professionalism every step of the way. 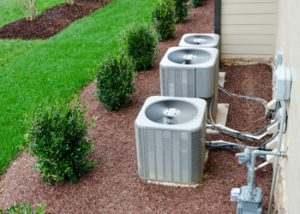 The AC service Lake Mary relies on comes directly to you from the company that has been A+ rated by the Better Business Bureau, DC / AC Air Conditioning and Heating. Our goal is to see that you have full confidence in our Lake Mary AC repair services. 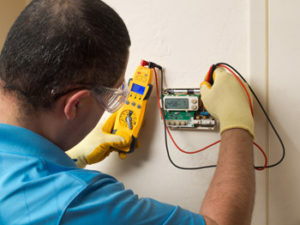 Our technicians will explain fully what needs to be done and will educate you about all the service plans we offer to keep your service in excellent working condition. Choosing the right plan for your needs is a great first step towards keeping your air conditioning going through the hottest months. If you have an older system, you may not even be aware of all the newest advances in air conditioning systems. Having the latest, most efficient system installed can mean lowered energy bills, which is something everyone loves to see. You’ll also have less impact on the environment with a newer system. We’ll even help if there is any paperwork to be filled out so you can get any applicable rebates. Your experts in Lake Mary air conditioning repair from DC / AC Air Conditioning and Heating will explain all the latest energy rankings and ratings. They’ll help you to make your best, most informed decision about the system that is best for your home and for your individual needs. We take pride in being able to help Lake Mary residents see lowered energy bills and experience the coolness and comfort of an exceptionally ranked, well-running air conditioning system. We are the experts in the professional AC service Lake Mary needs to stay cool and comfortable through even the hottest central Florida days. Thousands of satisfied Lake Mary and central Florida residents have helped us to achieve an A+ rating with the Better Business Bureau. This is something we never take lightly or take for granted. We strive to bring you the best AC repair Lake Mary can find, along with the best service to keep your system running efficiently. Experience the difference that DC / AC Air Conditioning and Heating can make in making your home the most comfortable it can be.